Delhi’s cropped area has reduced by more than 34 per cent since 2000-01, according to the Economic Survey of Delhi 2017-18, tabled in the Delhi Assembly on Monday. The total cropped area during 2000-01 was 52, 816 hectares, which reduced to 34,750 hectares in 2015-16. On an average, there has been a 2.28 per cent reduction in cropped area each year during this period. The main reasons for reduction in agriculture area in Delhi are “fast urbanisation, and shift in occupational pattern, especially during the last two decades,” says the survey document. This explains why only 0.71 per cent of total workers in Delhi were engaged in agriculture sector. When the total working population of Delhi was 55,87,049, those earning their livelihood from agriculture were just 39,457. This has also reduced agriculture’s share to the Gross State Domestic Product of Delhi. Moreover, the area under food-grain crops has decreased substantially, but area under vegetables production has increased. The Economic Survey observes that the returns from traditional agriculture are “less attractive as compared to the high value of commercial horticulture and other high value added agriculture activities”. This is why the Delhi government is encouraging farmers to take up vegetable production and floriculture. The area under floriculture has increased by more than 130 per cent from 5,479 hectares in 2005-06 to 12,638 hectares in 2015-16. In line with the reduced cropped area, the total number of operation holdings has also reduced by 19 per cent from 25,311 in 2005-06 to 20497 in 2010-11. 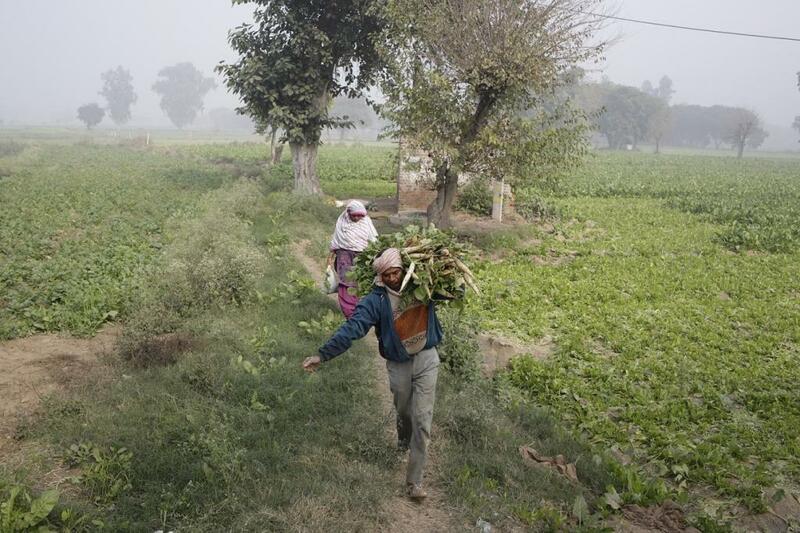 The Economic Survey also points out that out of 20, 497 total operational holdings in the State, 77.21 per cent belonged to marginal and small farmers with land holding less than or equal to two hectares. Just like cropped area, the gross area under irrigation has also witnessed a decline. It has reduced from 31,107 hectares during 2008-09 to 29,723 hectare during 2016-17 indicating a decline of 5.39 per cent. Similarly, the area irrigated through wells, which was main source of irrigation, reduced from 21,492 hectare during 2008-09 to 19,727 hectare during 2016-17 registering a decline by eight per cent. According to the survey document, due to fast urbanisation in the rural areas of Delhi, cultivable command data under irrigation is getting reduced. Rainfall, which is one of the other main sources of irrigation in Delhi, has been near-normal in the first two months of the monsoon—July and August—since 2012. However, the rainfall pattern is more erratic in September. Between 2012 and 2015, the national capital received between 20 -80 per cent of average rainfall in September. Fishing, as an occupation, has also fallen out of favour in Delhi due to rapid urbanisation. It is reflected in dwindling fish production. From 2,300 tonnes in 2002-03, the production has reduced to 740 tonnes in 2015-16, which is a 68 per cent decline.